As much as I love pumpkin carving, some years I honestly forget about it. Not only that, but all that hard work just ends up going in my compost after two to three weeks. 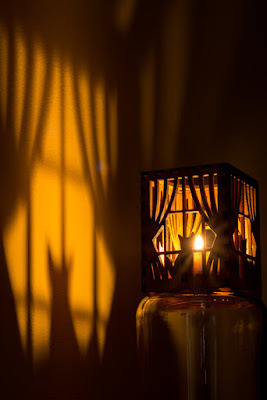 I want all those awesome shadows to shine all year around! 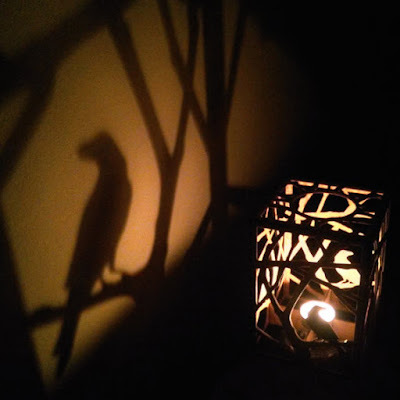 These laser-cut wood candle holders by Elise Koncsek on Etsy are an awesome way to cast shadows forever. 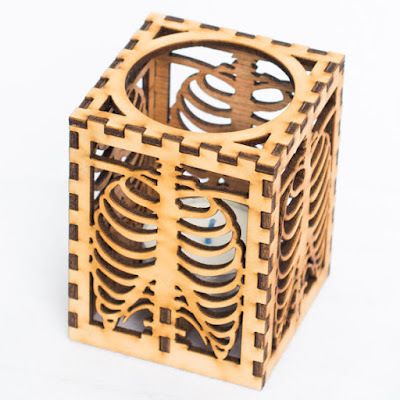 This rib cage tea light holder is nice for a house with an apothecary or medical/anatomical decor theme. 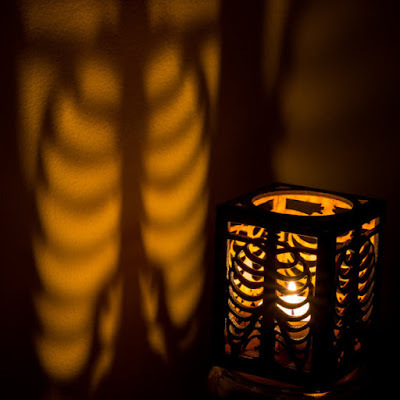 I can definitely see this being used during all of October to give your house an eerie feeling. Is it just me, or are silhouettes of dying trees on your wall or windows really freaky? I know it's a bit stereotypical, but I'm always wondering what's lurking outside in the middle of the night. 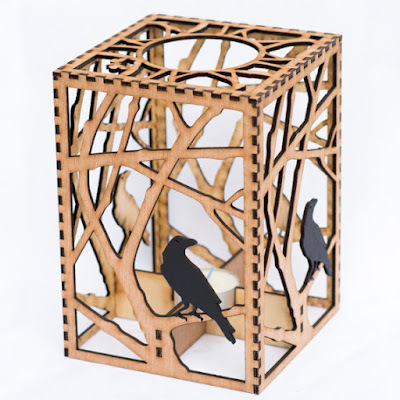 You won't need moonlight if you had this Raven in Branches candle box! 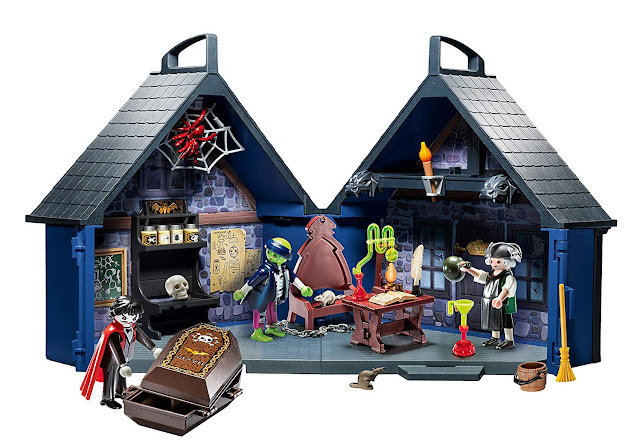 This will give the illusion of being alone in a creepy cabin out in the middle of nowhere. This is a great way to freak out your arachnophobe friends! 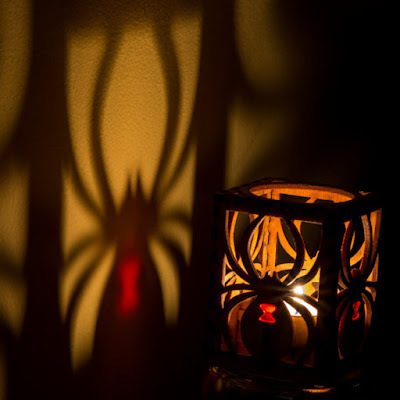 The black widow laser cut out projects this huge spider on your wall. The coolest part, in my opinion, is the red hourglass that just glows. I honestly can see using this all year around. 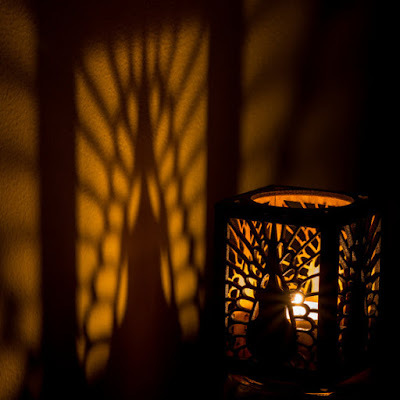 I don't know why, but has a very mystical feeling about it. 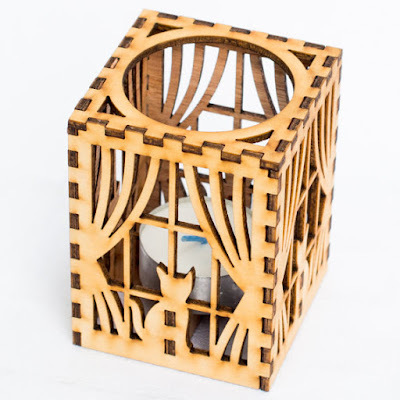 Instead of a disturbing image, this Cat in Window laser cut wood tea light holder is a warmer, cozier Halloween option. If you're a bit of a crazy cat lady (like myself) then you can definitely appreciate this for all seasons. It's slightly welcoming, so maybe this would be a better option if you have kids. Even though it's hard to tell that this is supposed to be a Crow Skull cut out, I actually like it. It almost looks like a piece of stained glass. 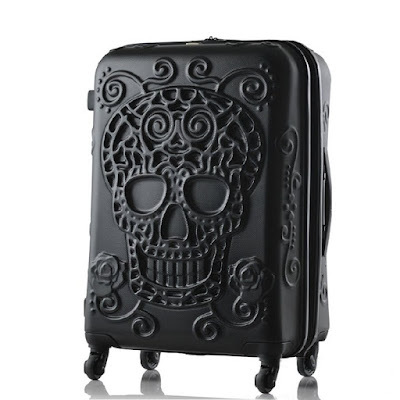 Now that I know about its macabre theme, I can appreciate this for myself. 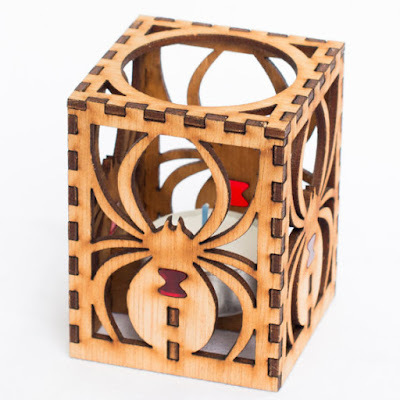 These laser-cut wood candle holders by Elise Koncsek on Etsy are really awesome. What do you think of them? 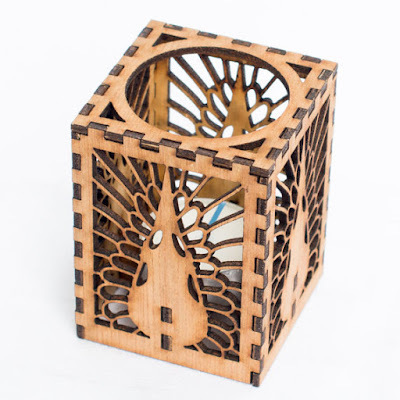 I've noticed that these laser cut candleholders come and go really quick, so if you're interested in something I would jump on it fast. Check out more of these and tell me about some of your favorites!